Tandem Financial | Interesting Times! Prepare for the ride! Interesting Times! Prepare for the ride! 27 Jul Interesting Times! Prepare for the ride! Or so goes the old Chinese curse. I couldn’t find a better expression for the current political and economic climate. In the space of two weeks since the UK voted to leave the EU, our now former Prime Minister resigned and a new one took office. A new cabinet is now in place. The pound has had one of its biggest drops against the dollar and other currencies in 50 years. The new government led by Prime Minister Theresa May now faces the daunting and exciting prospect of negotiating our exit from the EU trading block as multitudinous trade deals with the rest of the world. Yes, we are living in interesting times! It’s both exciting and scary at the same time. There is a lot of uncertainty and we know that the stock market doesn’t like uncertainty. So it’s safe to expect that markets may be a little tetchy in the coming months and years. Remember those conversations we’ve had about your willingness, ability and need to tolerate market risks in pursuit of expected rewards? Recent market performance serves as a good illustration of just what that risk feels like when it happens. It’s no fun. It’s uncomfortable. But if these sorts of risks never occurred, investing would be easy. It is those who invest long-term and those who stay on the ride who will benefit. It makes pound cost averaging (investing monthly) as relevant as ever. The best course of action is to avoid knee-jerk reactions to such events and believe in the fundamentals of investing. 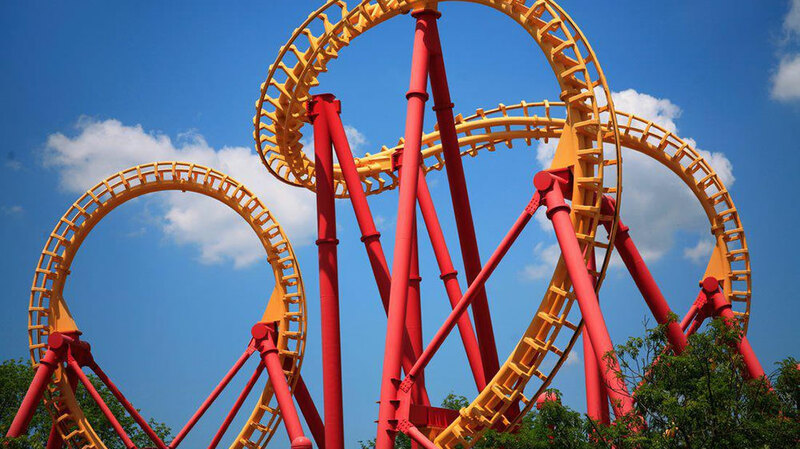 Investing is a bit like riding a roller coaster; the only people who get hurt are the ones who jump off while it is moving! Unless you would like to revisit your personal financial goals, our advice about how to manage your portfolio has not changed. We are long-term investors, not short-term speculators and our TRAILS™ portfolios are designed to withstand tough market conditions. We will continue to keep our eyes on events as they unfold for you, monitor your portfolio and advice accordingly.